…another pure English heifer…half sister to the two below…Ashott-Barton Tulip is the mother…and a line that stretches back as far as there have been Devon record books. The origination was in the famed Champson herd. The sire is Cutcombe Jaunty. 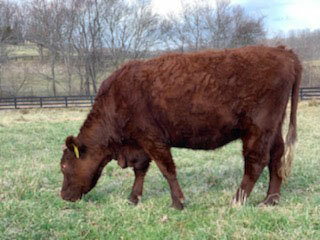 Our current plan for Tulip is to let her calve at 3 and then decide whether to flush her.